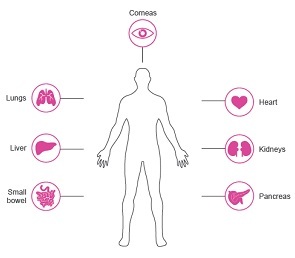 Below you will find a range of teaching resources, including a condensed summary lesson plan and three individual lesson plans each linking to the PSHE and Science elements of the National Curriculum. 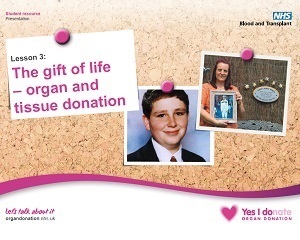 Co-created with teachers, educators and clinicians each lesson plan includes PowerPoint slides, activity sheets and real-life stories aimed at students aged between 11 and 16 (Key Stage 3 and 4). 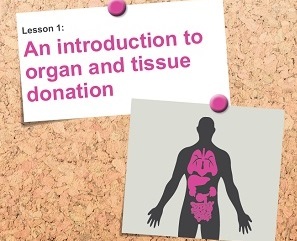 We hope that these lessons will not only educate and prompt debate amongst students themselves, but also encourage students to go home and discuss this important subject with their families. 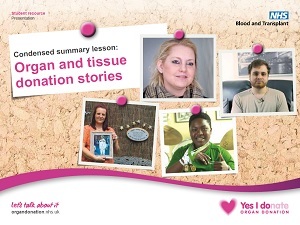 Designed as a one-hour stand-alone lesson, this condensed summary lesson explores the main themes of organ and tissue donation focusing on real life experiences of organ and tissue donation from four different perspectives. 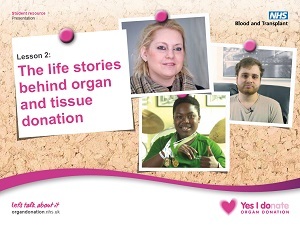 The first in a sequence of three lessons to raise students’ awareness of organ and tissue donation, encouraging them to reflect on their personal attitudes and feelings. 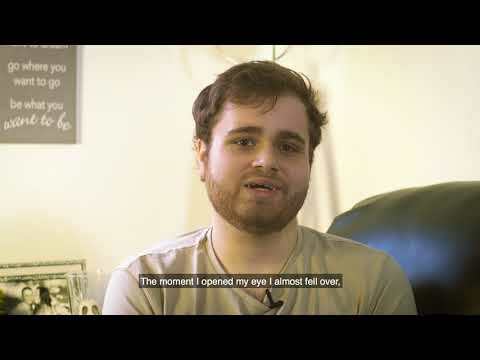 These videos encourage students to empathise with real people who have been affected by organ and tissue donation, like Jess, Charles, Ollie and Dawn in this video. We have produced teacher guidance documents including answers to FAQs and in-depth information to give you the necessary knowledge and skills, so that you can confidently and successfully deliver these lessons. Want to help us develop our resources further?